Guest participated in a instructor lead painting exercise to produce a completed work of art they were able to take home and enjoy. 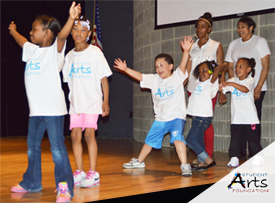 Proceeds for the event went to support Student Arts Foundations community arts initiatives. 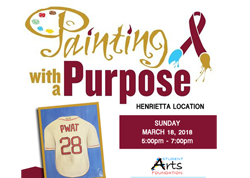 A day for youths between the ages of 6 and 12 to actively participate in fun, creative, and stimulating art activities that promotes the importance of learning through enjoyment, and fostering their artistic capabilities. 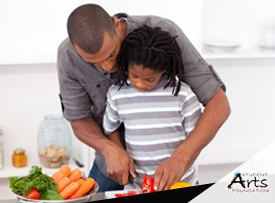 We partnered with TOPS supermarkets Cooking School, to bring you cooking with Dad's, "Fathers Day weekend". Dads partnered with their children and prepared a tasty meal they ate together and enjoyed.